Are you worried about the price of gold? Please, by all means, click on the following link. It is the most important information I have come across all week! Andy is in Zurich this week, meeting with the Suess family. Miles Franklin started out representing BFI (the Suess company) in 1990. We were their main U.S. promoter of Swiss annuities, for over a decade. We still maintain a relationship with them. We will be offering a wide variety of their new products to our clients and our readers, who are interested in offshore State-of-the-Art investments. When Frank Jr. (pictured on the left) spoke at the Casey Conference in Weston, Florida in March, he was the hit of the conference and his presentation attracted more attention than any other speaker. BFI’s products are sensational, and fit perfectly with what we do here, at Miles Franklin. 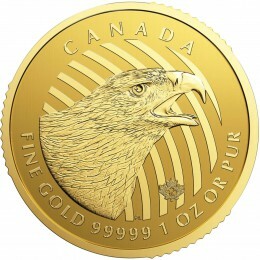 We will be able to offer different types of gold-related products and many offshore storage options. We know the Suess family well, having been at their side at the beginning of both firms, nearly 25 years ago. They are honest, creative and will be a crown jewel asset to Miles Franklin. 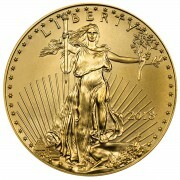 We are NOT your common precious metals dealer! No one can match our service, investment options, pricing and reputation. More information to follow soon. Today, I am featuring “must read” articles by Jim Sinclair and Bill Holter. Holter explains why it makes absolutely no difference what the Fed announced on Wednesday. Sinclair discusses the two worst decisions we made this year; Arab Spring and using the SWIFT system as a form of economic warfare against Iran. Both will come back to haunt us. He also has a lot of additional valuable information for you to consider! Be sure and read the Aden Sisters article. They are very insightful and I have been one of their followers since I spoke at a couple of financial seminars with them in the mid-1980s. If you watched gold, going into the Fed announcement on Wednesday, you saw a crazy up and down and up and down market, trying to figure out what it wanted to do and what the Fed would announce. Get used to this kind of short-term volatility, based on the next headline. In this crazy environment, there is no such thing as “investing.” It’s nothing more than casino-style gambling. Leave it to the deep pocket hedge funds with their advanced algorithms and front-running software to beat each other up for a one-minute or one-hour or one-day profit on their mindless trades. I’d comment more on the waterfall drop in the price of gold (below) but it is just the same old drill and is not important. Just another gift to buy gold at a discount. One might also stack a few thousand dollars of nickels. If the U.S. does the zero-lop in the future, no country that has ever done that has ever messed with the coinage. There will still be 20 nickels per revalued dollar. In that case, a one zero lop will make each nickel worth $0.50 in the old currency. A two zero lop will make each nickel worth $5. 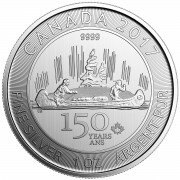 A three zero lop will make each nickel worth $50 in terms of the present currency. As an added bonus, there would be no taxes due. You could just spend them! 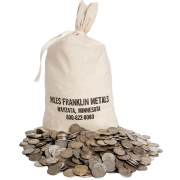 I forgot to mention that nickels are a good choice, as the metal value in each nickel is almost the same as the monetary value. If there is no zero lop, one could expect that the metal value in the future will be greater than $0.05. Also, all nickels are presently the same, so no sorting is required (as with 1982 and earlier dated pennies).